Looking for private in-home or in-studio Chess lessons? Our Beverly Hills teachers are ready to get you started. Find your teacher today! Check out some of our most popular teachers near Beverly Hills, CA including Los Angeles, Long Beach, Irvine, Glendale and Burbank. I have experience teaching young students, including children and can create fun and inventive ways of teach beginners the basics of chess. I've been playing chess since I was about 10 years old and I've taught several other people the basics of playing chess, including small children. Great teacher. I learned a lot. You will have more confidence & fun when playing this great game after a few sessions whether your a beginner or more advanced. Hello Fellow Chess Players and Game Enthusiast, I can certainly help you not only to improve your game whether you are a astute active tournament player (for rating under 1500), wanting to be able to play a good game with your friends and/or rival, and/or just to have fun with this game whether you play online or with a board and pieces. I have been playing tournament chess for over 25 years and achieved a Life Candidate Master Title by the US Chess Federation since 1996. Eric has been super with my nephew Enzo. He is very knowledgeable, and is really good to work with younger learners. He is also willing to sit with the rest of the family during the lesson so they can benefit from his knowledge as well!! Very informational. I learn a lot and had a great time! Eric is an incredibly talented chess player/instructor. His mastery of the game is only surpassed by his ability to teach it. I have been teaching chess for 3 years and my students have gone on to tournament level and won competitions. Within the first few lessons, my students have developed a deeper understanding of chess strategies As the progressed further in their lessons they have developed special moves to win the chess games. I take pride in my students' success and love working with them. I do provide tournament chess boards for my students. Great first lesson for my 8 year old! Siddhartha is energetic and patient! I have been playing chess for eight years, and have peak ratings of 2348 FIDE and 2390 USCF. Some of my accomplishments include: I am a 4 Time National Champion, ranked top ten in the country for my age group, and have achieved the titles of national master and FIDE master. Along with this I am also rated in the top 5% of all chess players. I have taught many chess camps for kids and adults across the California area and have 2 years of total teaching experience. I welcome all levels and will make sure each lesson is tailored specifically to every students needs. I can guarantee wth my help I can help you reach the next level in your game. Feel free to shoot me a message if you are interested! I am a professional chess player that has traveled across the world playing in tournamnent representing the U.S on an international setting. I am also ranked top ten in the nation for my age and have played some of the best in the world including former world champion Viswanathan Anand. My USCF rating is 2390 and my FIDE rating is 2340 awarding me the titles of national master and FIDE master. (top 5%) I have taught for two years now in Chess camps across the state for kids and adults and currently have regular online students as well. After receiving many hours of coaching myself and improving to where I am today, I can guarantee I can help you get to the next level. If you are ready to improve your Chess don’t hesistate to shoot me a message! My son USCF rating 1400+ took a trial lesson with Danial. Danial is methodical and systematic in his coaching. He was quick to identify what my son needs to improve in order to get to the next level. The most important thing is that my son enjoyed his one-hour lesson and literally felt that the lesson time flew by as it felt like only 2 minutes long to him. My son gives Danial thumbs up and 5 stars. As a high rated 1500+ player, Danial was able to teach many new things about my openings and how I ca imrpove. Great coach! Very good chess player! Definitely worth the money! Specializing in players rated 800-1800 level. Know thyself is the saying, and it applies to chess as well. Everyone is different. Each has his/her different objectives. Everyone also his/her own strengths and weaknesses. I tailor the lessons taking these into the account, and focusing on improving on the weaknesses within the framework of the student's goals. I try to put the emphasis on calculation, middle-game positions, and endgames, however. I am taking weekly lessons with Bora in order to push my game to the next level. Bora is passionate about chess, and it really shows in his approach to teaching, which I find to be both entertaining and effective. Bora is also a nice person all around and I would not hesitate to recommend him to my friends and/or their kids. Would you like to learn how to play this beloved strategy game? Do you want to learn how to think 10 moves ahead? Chess is more than just a game, it's a life-skill and is part of critical thinking. I'd love to share my experience with you. Learn Chess from a Woman Chess Grand Master! She's been teaching chess from beginner to advanced level for more than 10 years. She's been playing chess professionally Since 1996. I love teaching and playing chess! In my opinion, there's nothing better for improvement than playing with someone who shares their knowledge and experience with you as the game occurs! I won the U.S Open unrated division in 2009 as a sixteen year old, achieving a 1600 rating (300 points above the average USCF tournament player). I teach openings, endgame principles and mid-game tactics and strategy! However, I like to keep emphasis on the fact that chess is a game, and for most beginners, it's far better to play than to study! 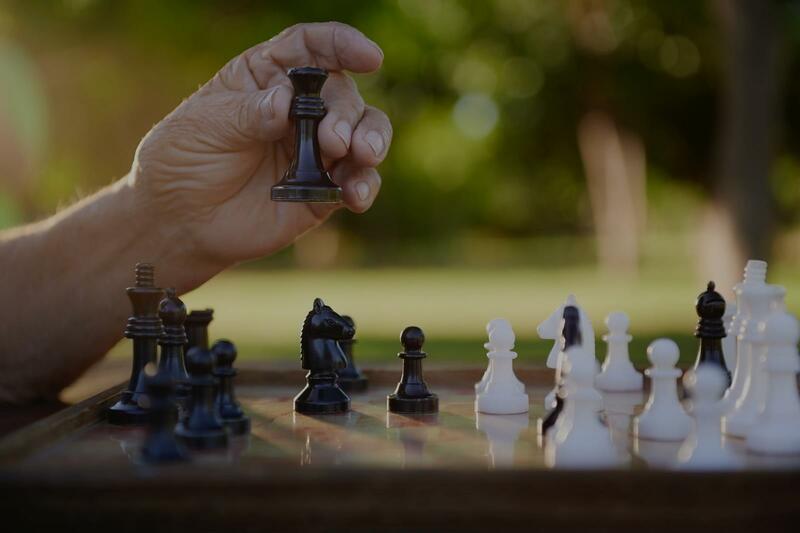 A typical lesson with me as a beginning-intermediate student might involve a brief opening study, where we work through an opening of your choice together and then play from the position while I point out tactics & strategy, followed by a study of the endgame we find ourselves in. For beginners, we start with the basics and play together! I'm a career string quartet musician who loves both performing and teaching. I graduated with a Master of Music degree from McGill University in Viola Performance. I've been lucky to have many amazing opportunities so far: I've performed in Carnegie Hall as a member of the New York String Orchestra Seminar; in Yokohama and Tokyo, Japan; and in Salzburg, Austria (the birthplace of Mozart!) as a member of the Milton String Quartet. I've also toured the USA and played in many parts of Canada. My favorite experience was winning the Fischoff Chamber Music Competition, the largest competition of its kind in North America! To me, music is about community, and getting to play great music with close friends or family is one of the most rewarding experiences. I also tutor chess: I grew up playing the game and my parents ran a chess club at my elementary school in rural Maine. Chess was pure fun growing up but now I see how valuable of a tool it is for teaching logic, strategy and critical thinking! I won the U.S. Open unrated division at the age of 16 with a USCF rating of 1600 and have competed in a number of other tournaments. Can't find a teacher in Beverly Hills, CA? Students are raving about their Chess instructors on TakeLessons. Check out some of these recent reviews. "Good teacher. Knows the game and the lines well and can relate to his students." "Very informational. I learn a lot and had a great time! "Eric was wonderful. He had lots of patience, which I appreciated. And he was very polite and respectful." "Eric truly enjoys the game of chess and shares his knowledge and love of the game with his students. He is patient, encouraging and makes learning fun." "Very good chess player! Definitely worth the money!" to improve in order to get to the next level. The most important thing is that my son enjoyed his one-hour lesson and literally felt that the lesson time flew by as it felt like only 2 minutes long to him. My son gives Danial thumbs up and 5 stars."